With the dawning of a new year we not only welcome a fresh start and new goals, but in our industry, we also look forward to the release of new promotional products. Each year, during the second full week in January, agencies like ours descend on Mandalay Bay’s Convention Center in Las Vegas wide-eyed and giddy with anticipation for what they will discover at the PPAI Expo. The Expo is the largest industry trade show in North America, filling the 5th largest convention center in the U.S. with enough people and items to create its own small town – more than 12,000 attendees to be exact. Stromberg’s newest umbrella is a combination of two very cool umbrella styles (auto open/close, and an inversion umbrella). The result is the most functional stick style umbrella we’ve ever seen. The inversion style makes it easier to get in and out of cars or buildings, and the push-button action is extremely slick. 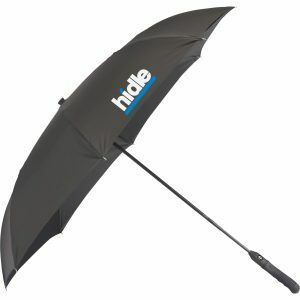 There are some other thoughtful features on this umbrella, like a flattened end cap (so it can stand up by itself when not in use), a soft-touch rubberized handle, and a dual-layer canopy for superior wind resistance. In addition to being a highly functional promo item (remember – they’re great for both rain AND sun protection), the large imprint area of umbrellas makes them a great messenger! You may have seen the Handi Warmer at retail outlets, like Amazon.com. We were delighted to see that it is now available in the promotional space as well! Offering a creative twist on the traditional power bank, the Handi Warmer can be used as hand warmer (with the recent record low temps, we can all appreciate that), as well as a power source for items with USB compatibility. It offers reasonable heating time (3-5 hours), heats up in 6 seconds, an average charging time of 3 hours, and has great space for branding. 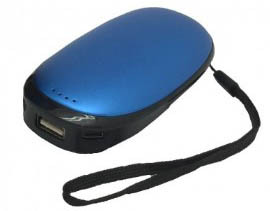 Applicable for indoor or outdoor use from hunting and camping to offices, some versions of this product even include a flashlight. Lightweight, but made from steel, OrigAudio has created the multi-tool that offers all of the bells and whistles the modern outdoorsperson needs. With its slim design, the Barrow Spork can be carried in a pocket or clipped onto almost anything using the carabiner. There’s no need to worry about logos wearing off from this piece – they’re laser etched into the steel. 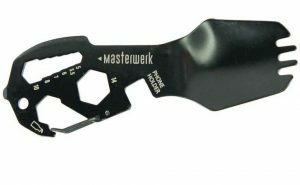 Available in early March, this tool is equipped with utensils, phone holder, wrenches, screwdriver, serrated edge, bottle opener and the carabiner. Cutter & Buck have truly outdone themselves with an updated version of their Rainier jackets. They have taken what made the original jacket great (lightweight with great insulation) and updated the look to make them even more stylish. 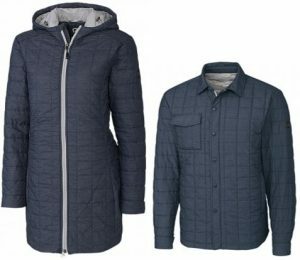 These jackets feature a 100% nylon shell with ultra-lightweight Permaloft insulation, rated for temperatures as low as 0 degrees F. The ladies’ version is refreshingly long, something we haven’t seen in the industry as often in recent years. While the men’s shirt tail hem offers a stylish touch and extra protection from the elements that you don’t typically see in branded outerwear. Finally, the updated Rainier styles for 2019 have new pocket placements, making them even more decoration-friendly for a consistent look across your entire apparel program. To see these jackets in person is to love them! 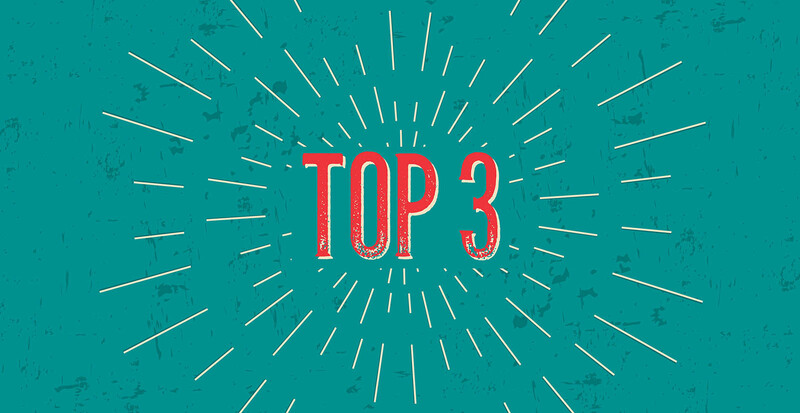 This month’s blog article was written by Nancy Richgels, Marketing Director for Identity Works.